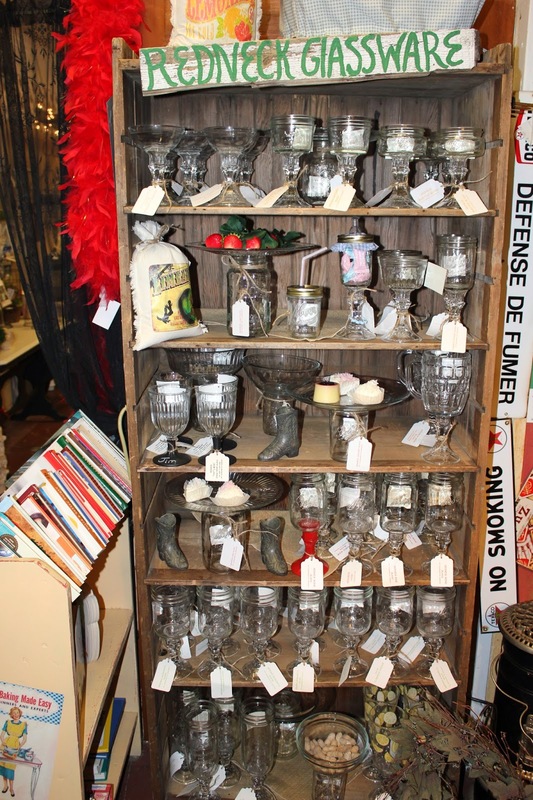 Check out the huge selection of handcrafted redneck glassware on sale at Pony Express Antiques, Space #16. Love these! 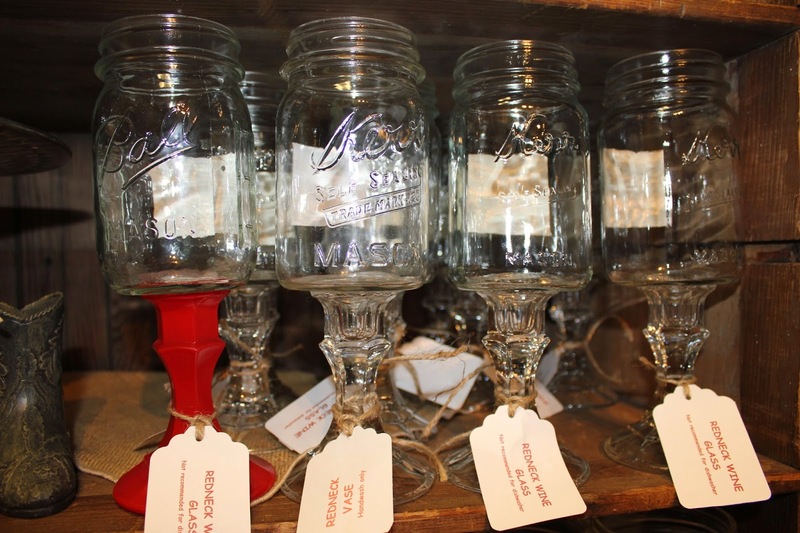 Great for everyday and fun for events!